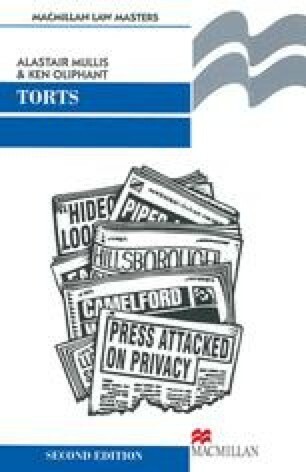 A number of torts can be seen as an adjunct to the law of real property. Speaking in broad terms, we can say that legal rules relating to interests in land may be grouped under three headings. First, there are rules that determine who has precisely what interest in land. Secondly, there are rules that serve to protect those various interests in land against interference. Thirdly, there are rules that govern the passing on of those interests to others, for instance by sale or by inheritance. Rules under the first and third headings are primarily the concern of books on land law; those under the second, however, are the preserve of the law of tort. The torts of trespass and nuisance, in particular, are the means by which those with interests in land prevent their enjoyment of those interests being eroded unlawfully. In performing this function, the torts of trespass and nuisance also add flesh to the skeleton furnished by land law’s list of interests in land: where land law specifies who has what interest in land, tort law specifies what in practice those interests entitle one to do.